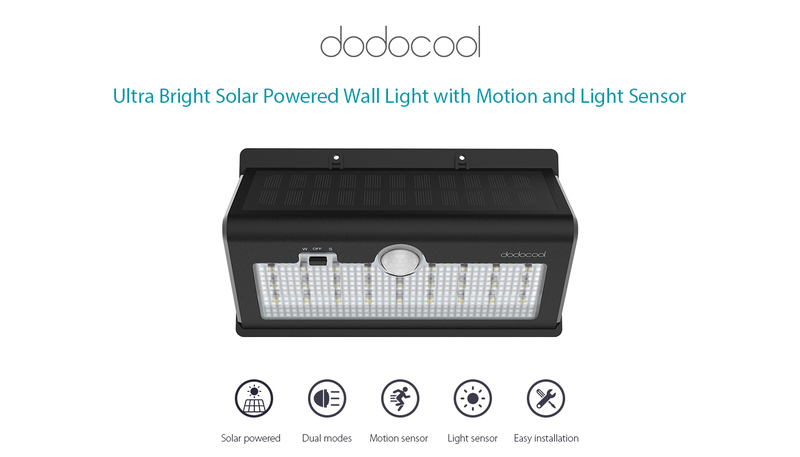 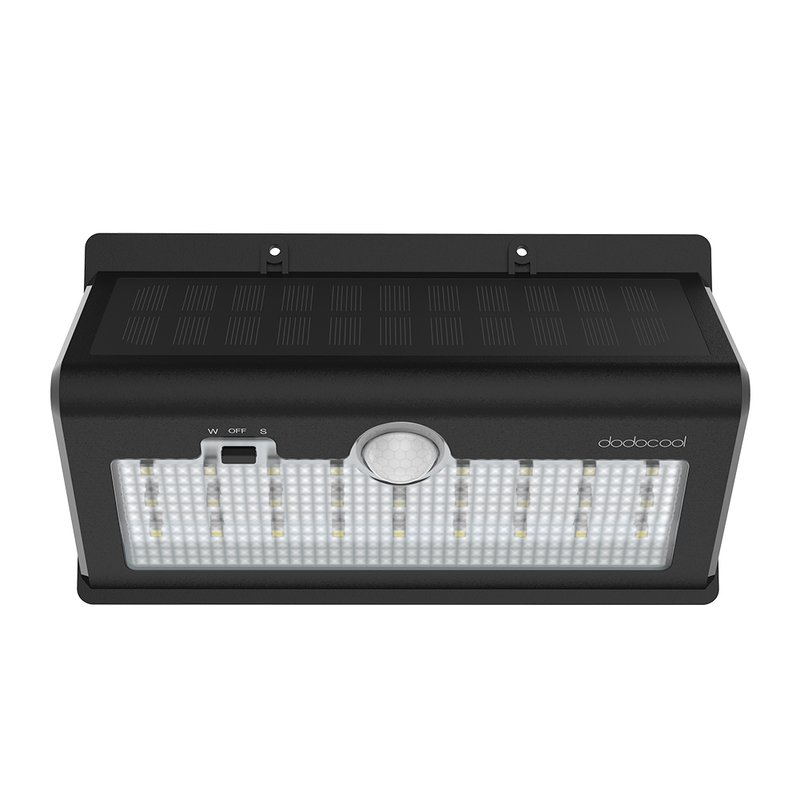 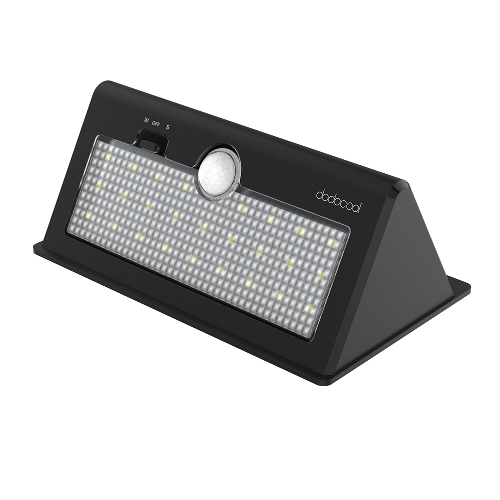 dodocool Ultra Bright Solar Powered Light automatically turns on when motion is detected within 32 feet in darkness and turns off or stay lit slightly when no motion is detected for about 10 seconds. 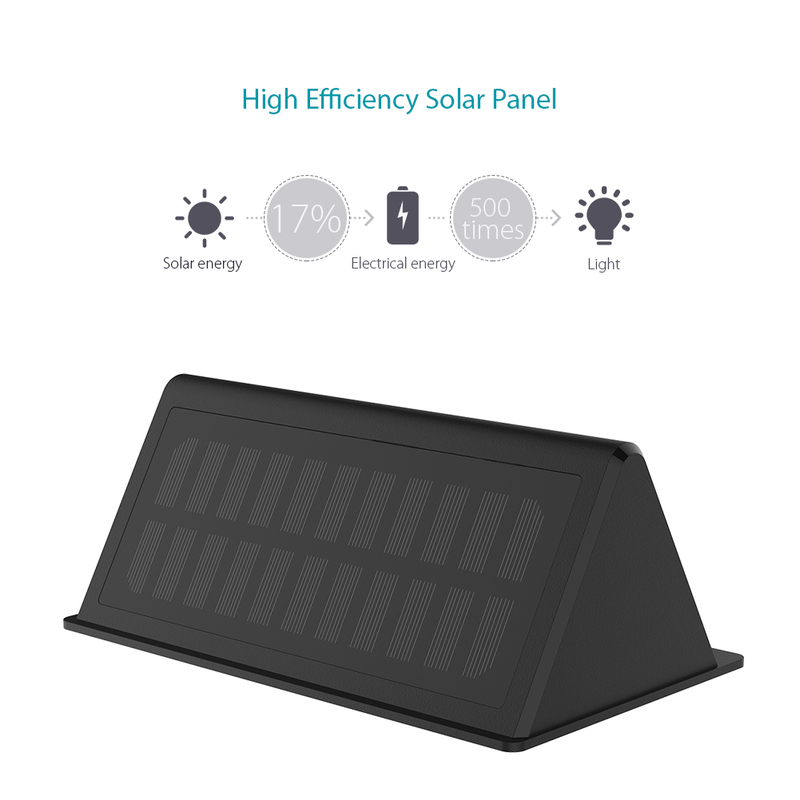 Adopt a powerful integrated solar panel to charge the light during the day, which can support up to 500 times of lighting at night. 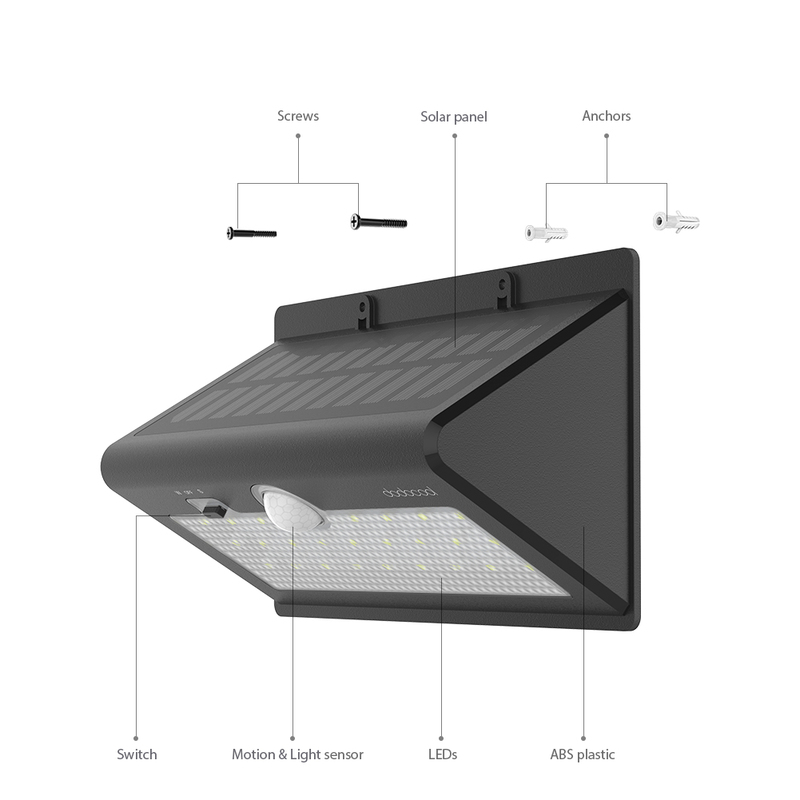 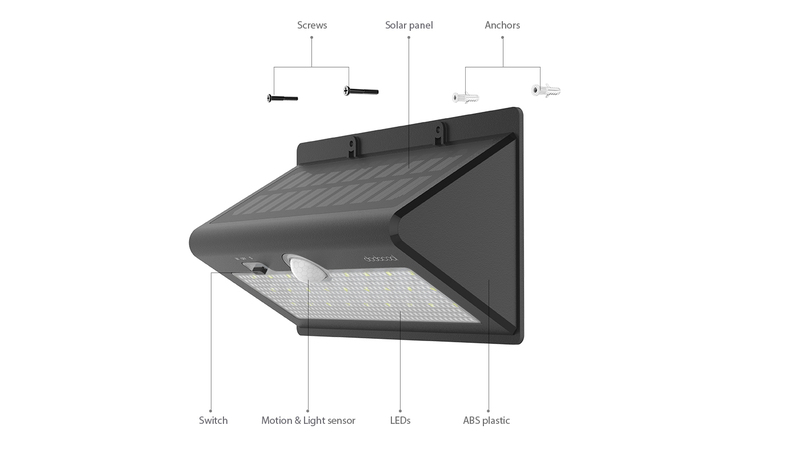 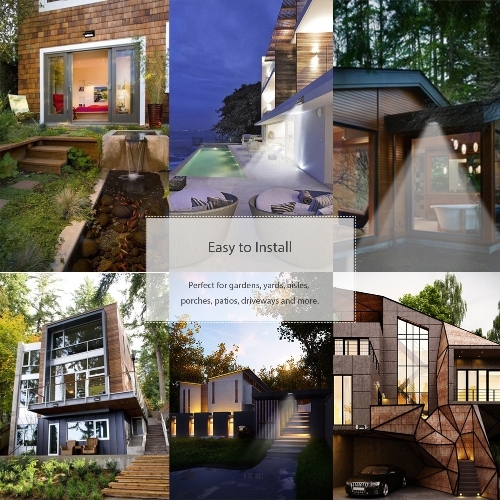 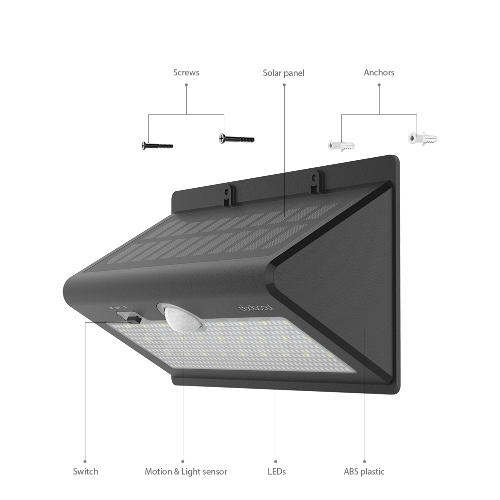 It requires no wiring, perfect for general outdoor use. 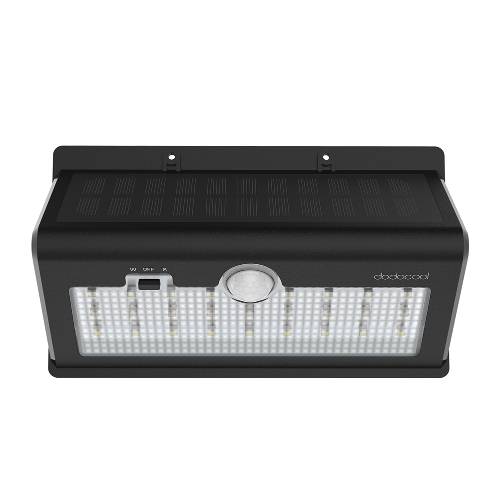 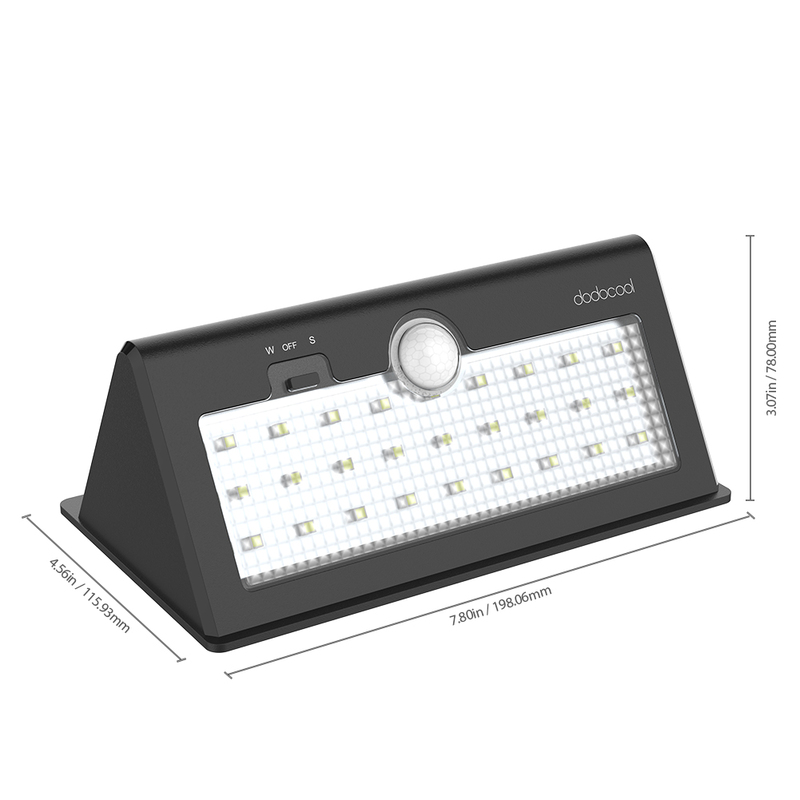 High quality and ultra bright 26 LEDs emit up to 520 lumens of light, enough to illuminate a defined area or highlight a feature. 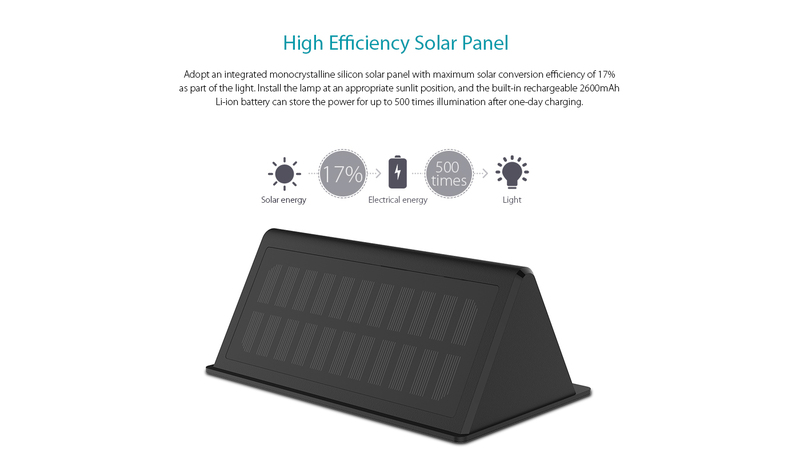 Adopt an integrated monocrystalline silicon solar panel with maximum solar conversion efficiency of 17% as part of the light. 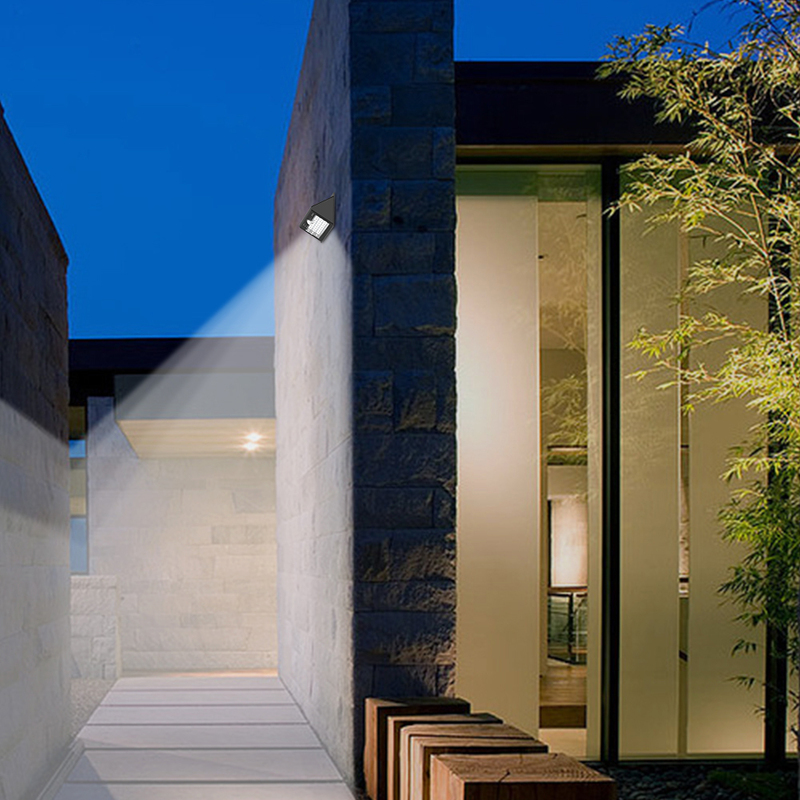 Install the lamp at an appropriate sunlit position, and the built-in rechargeable 2600mAh Li-ion battery can store the power for up to 500 times illumination after one-day charging. 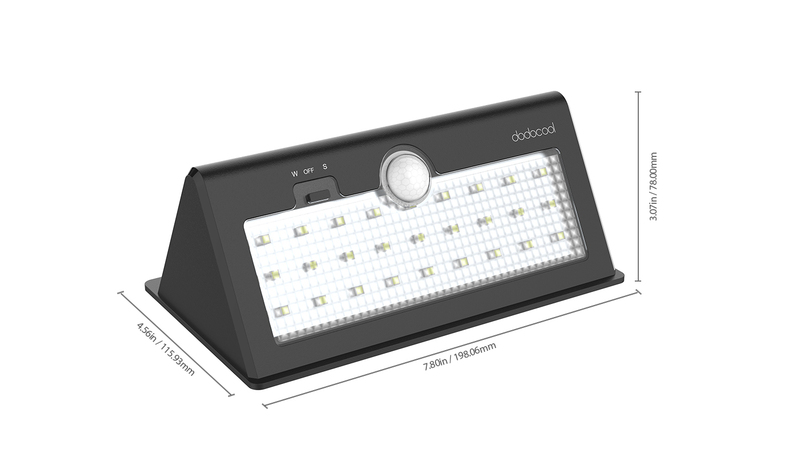 With no electricity consumption at all, it helps you save money on your electricity bills. 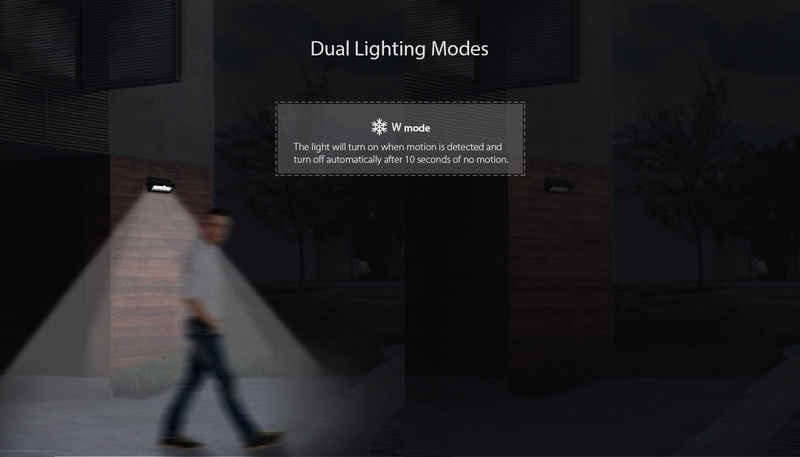 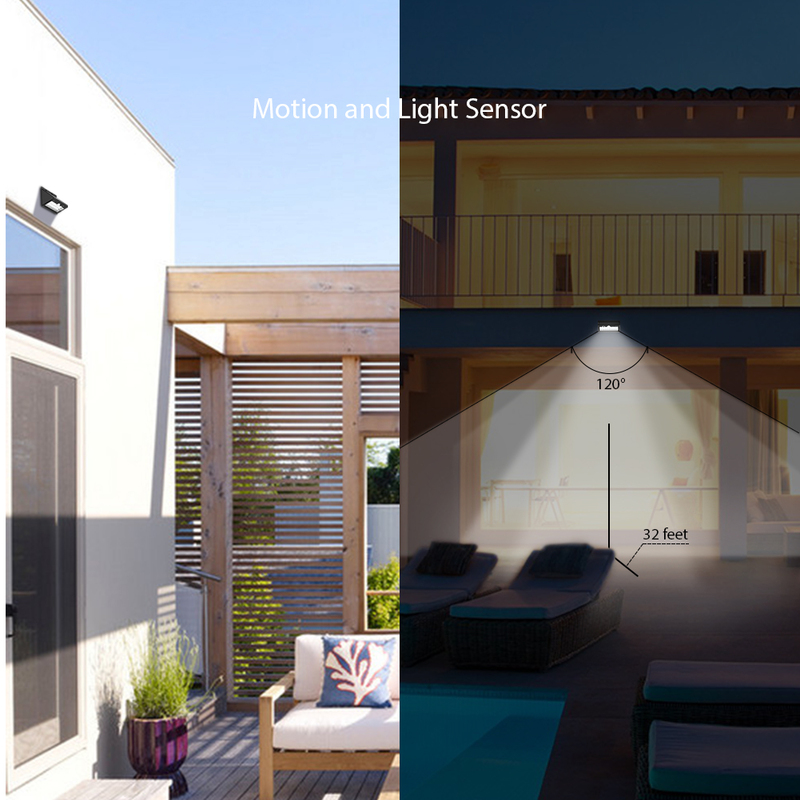 For W mode, the light will turn on when motion is detected and turn off automatically after 10 seconds of on motion; for S mode, the light will turn on when motion is detected and stay lit slightly after 10 seconds of no motion. 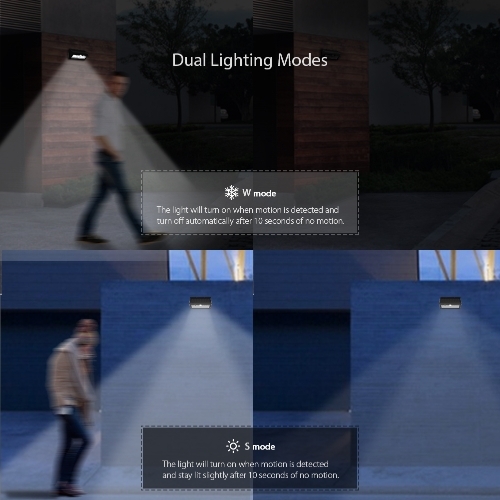 Choose the most appropriate mode yourself! 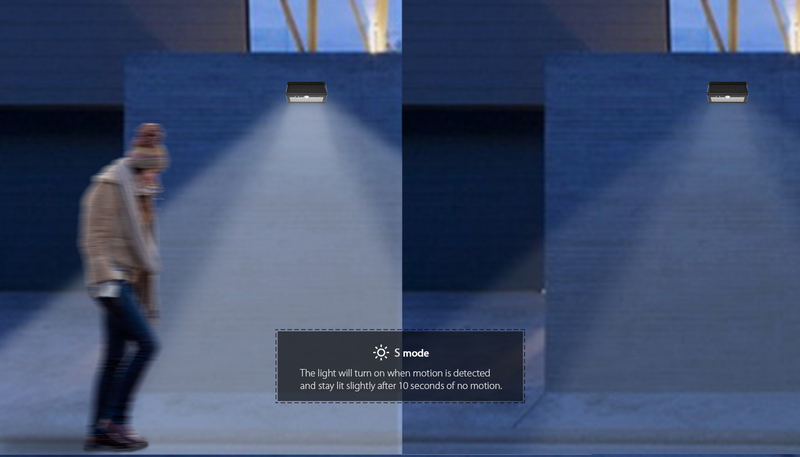 Offer a sensing distance of up to 32 feet with a 120-degree sensing angle. 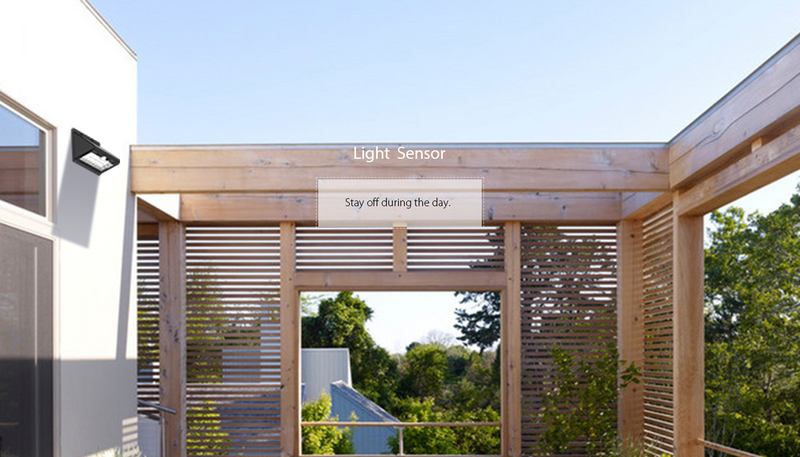 Stay off during the day. 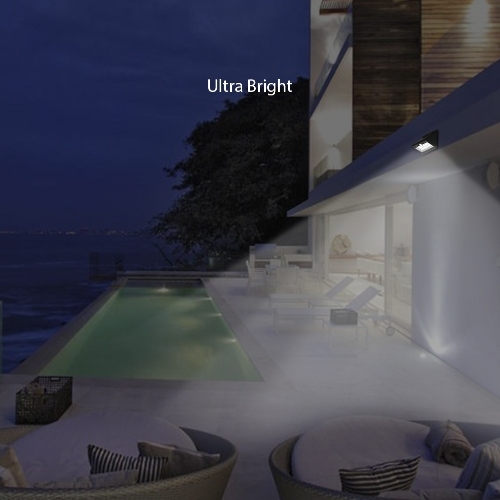 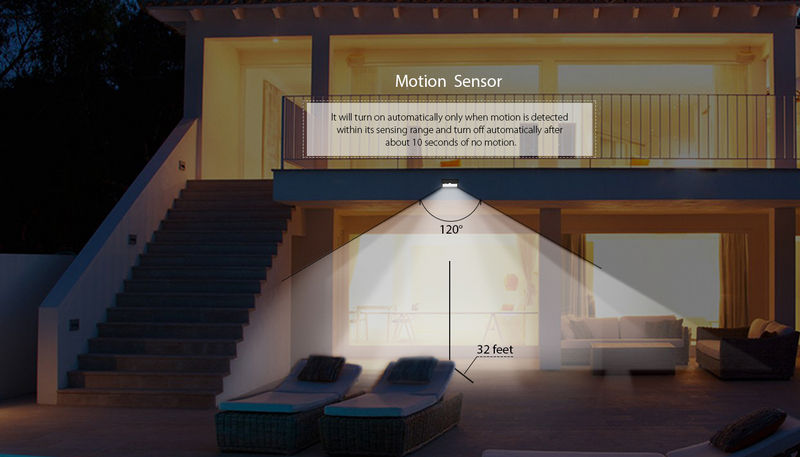 In the dark, it will turn on automatically only when motion is detected within its sensing range and turn off or stay lit slightly automatically after about 10 seconds of no motion. 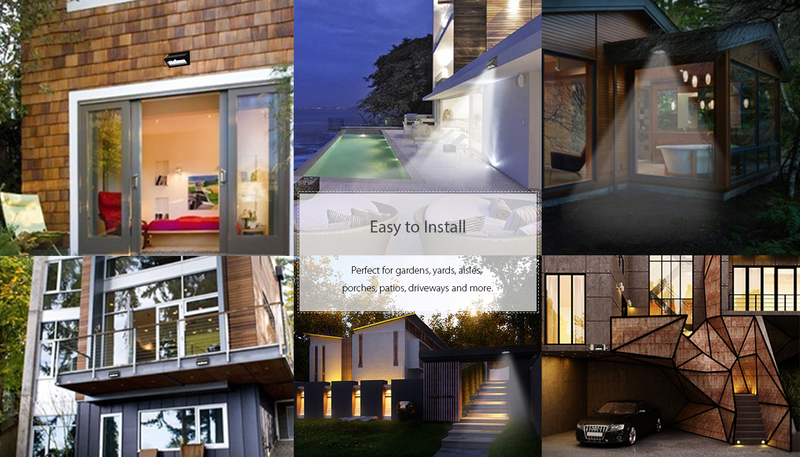 No complicated wiring is needed. 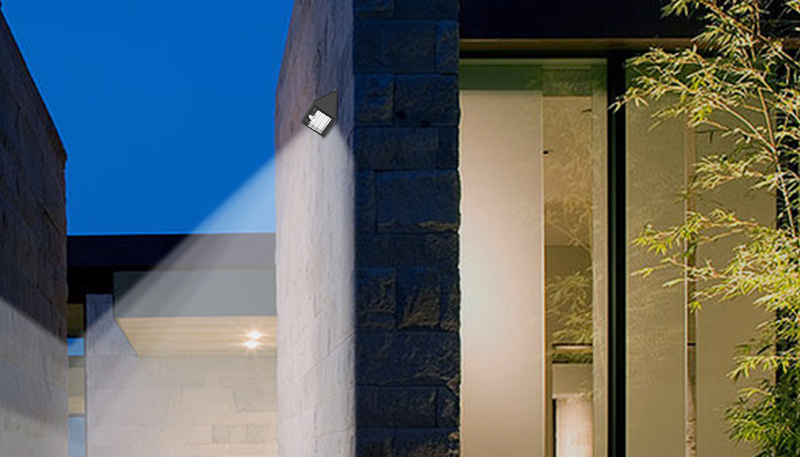 You can install the light on the wall easily in seconds using the included screws and anchors. 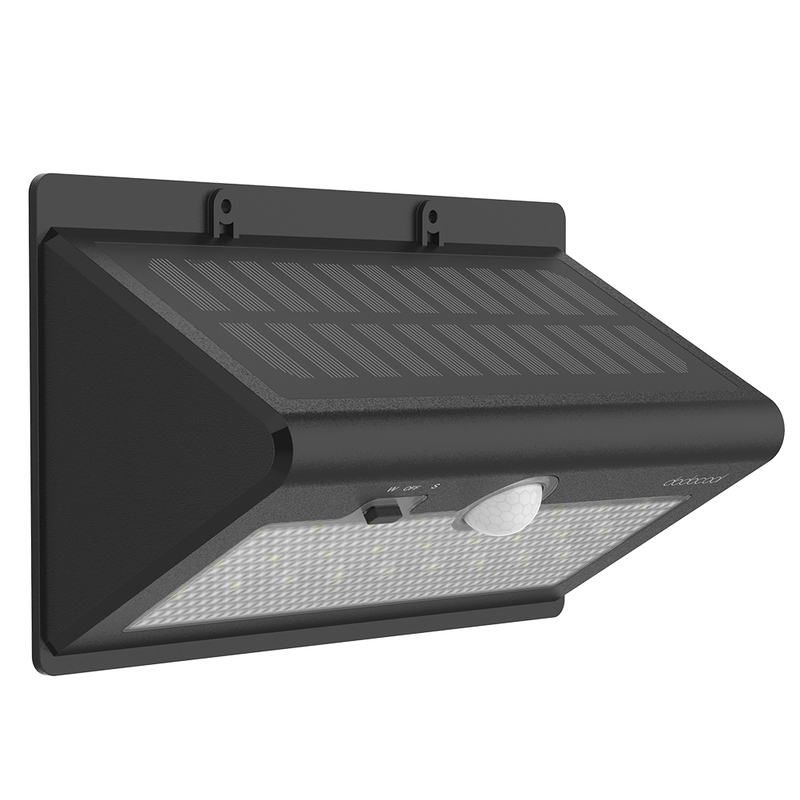 Perfect for gardens, yards, aisles, porches, patios, driveways and more. 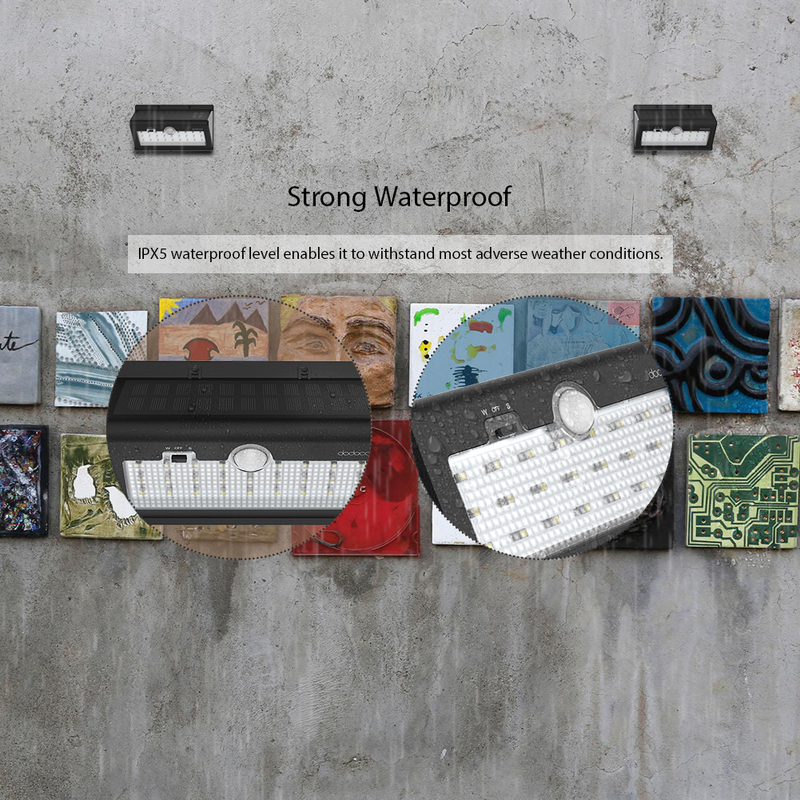 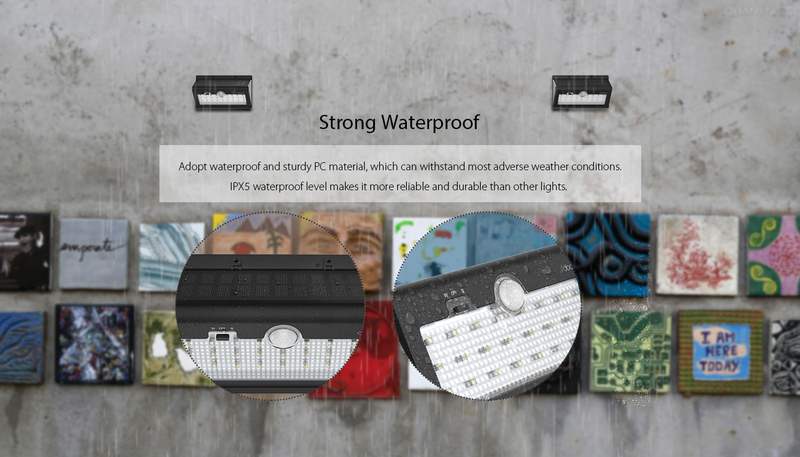 Adopt waterproof and sturdy PC material, which can withstand most adverse weather conditions. 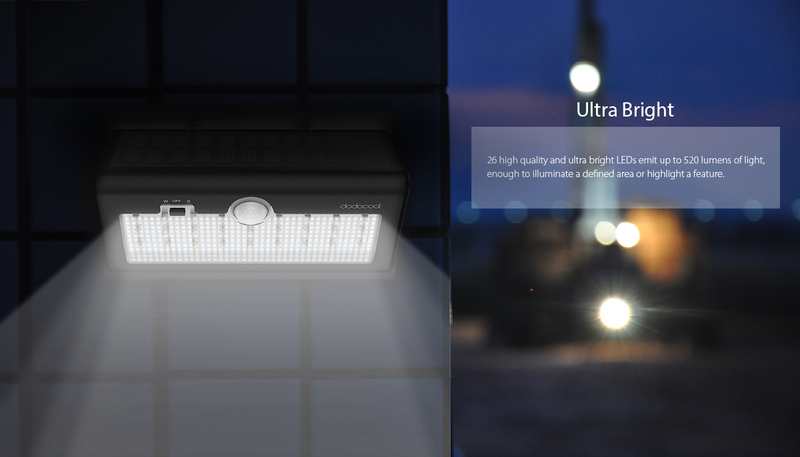 IPX5 waterproof level makes it more reliable and durable than other lights.